Tubs are great for hauling a variety of materials, ranging from grass and leaves to bricks and tree limbs. 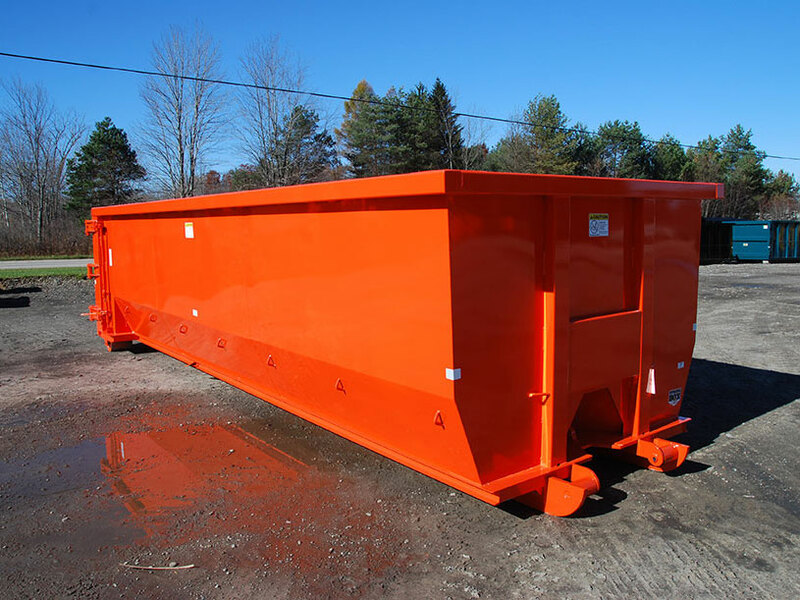 Tubs are great for hauling garbage, larger tree limbs, tree stumps, brush, grass, leaves, dirt, sand, gravel, mulch, shingles, drywall, 2×4’s, plywood, bricks, small concrete chunks, residential cleanout, light steel, scrap material, turnings, banding, light wall tubing, and busheling. 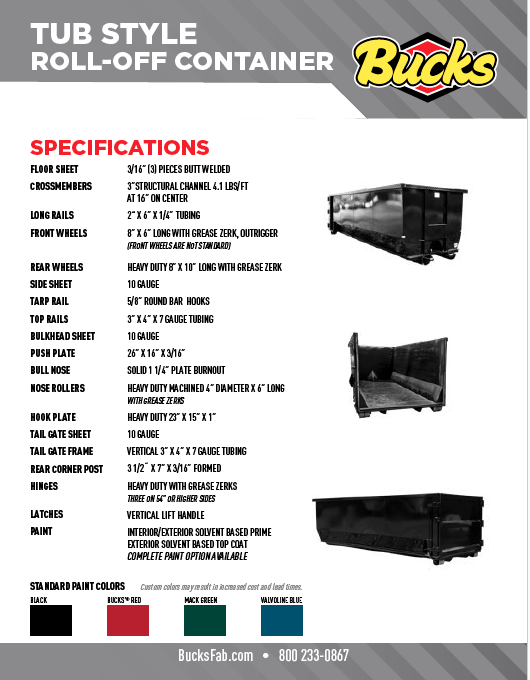 Our Tub Style Roll-offs feature a tapered width from front to back and open sides for advertising decals. The tapered width and broken sides aide in dumping out materials. Transportation is made easy with the ability to nest together multiple containers to haul to a job site. Be sure not to exceed your vehicle payload.